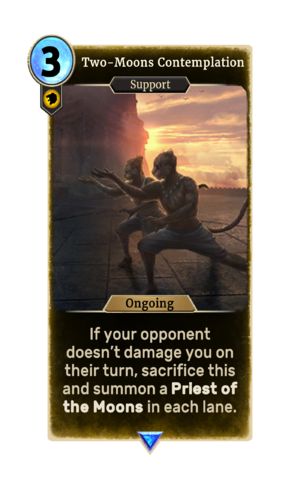 Two-Moons Contemplation is a rare Willpower support card. It is part of the Core Set. This page was last modified on 11 December 2018, at 01:05.